« PHPRunner 9.8, ASPRunnerPro 9.8 and ASPRunner.NET 9.8 is here! You can insert any sort of code snippet as dashboard element. This can be some code that displays current weather, calculates order totals, displays number of active users or even displays a Youtube video. See this live demo for inspiration. 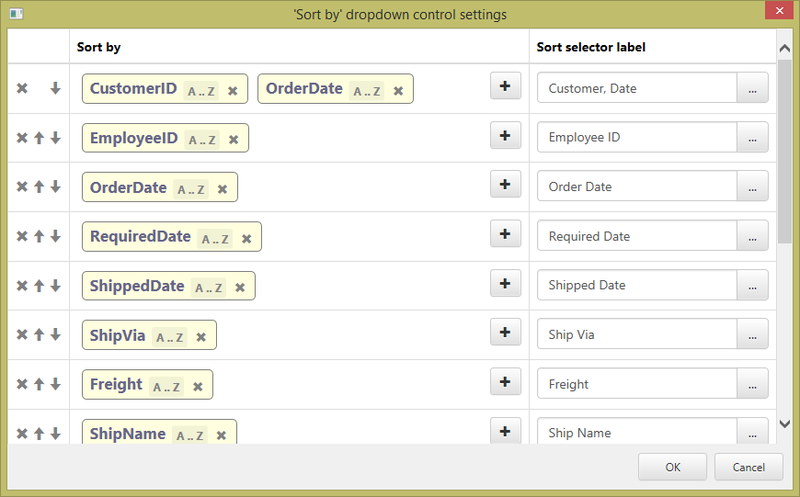 You can also choose if users still can sort data by clicking on column headers. Here is how it looks in generated application. This one is pretty cool, you can assign actions like open a certain page, make record selected, expand/collapse details or run a custom code to row/cell click. Click CustomerID cell to open Orders view page in popup. 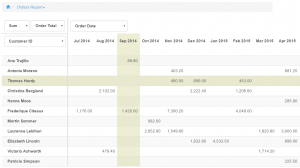 Click OrderID field to retrieve current order total and display it in OrderID field. If you enjoy pushing your web applications beyond built-in functionality you going to love this update. We have added five new APIs in this version that will help you build modern applications. Here are some highlights and use cases. See full list of functions each API provides in updated manual. Get username or user group of current user. Get or set OwnerID or permissions for any specific table. Verify username and password. Log user in automatically from your code. Check if user is logged in, if user is an admin, if user is a guest. Things like change project logo on the fly, modify table captions, modify breadcrumbs display format, modify field label or tooltip etc. 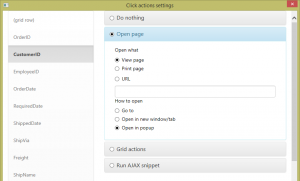 Make a tab active, enable/disable a tab, add a tab in runtime, change tab header or content, expand/collapse a section etc. Lets you run a totally custom searches. 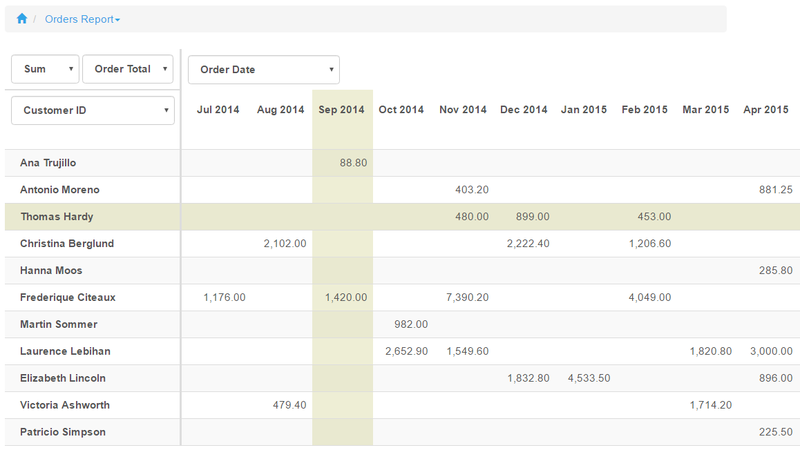 For instance you have Order and OrderDetails tables setup as Master-Details. 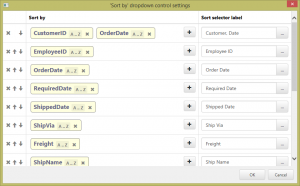 With the help of Search API you can display all orders that include a specific product in OrderDetails. You can see an example of this API usage in previous code sample where we dynamically display order totals in OrderID column. You can change any field visual appearance or content using this API. 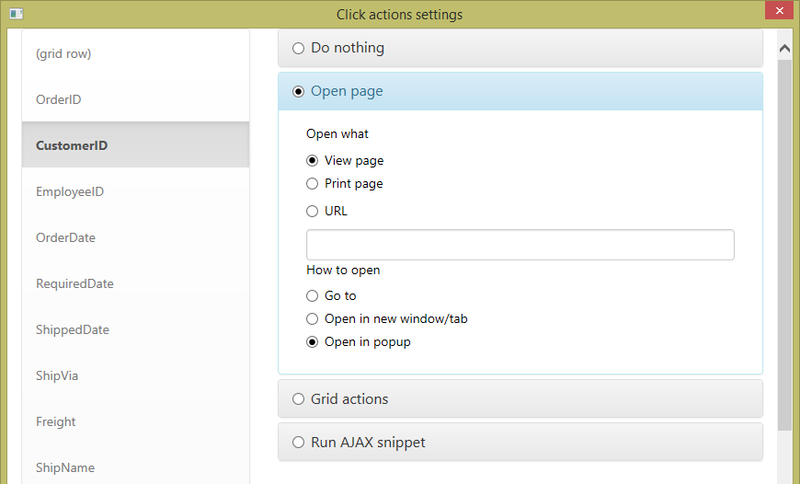 Besides using it in 'Click action' event you can also access this API from any button added to the grid. Try scrolling down and right to see freezing columns and header. Placeholders are in-place tooltips that disappear as soon user starts typing something in that field. Nice, nice, nice, nice. Thanks for continuing to push your products to the next level. I am looking forward to playing with this beta version. I really like the new features. Can’t find info on those APIs though. Is it not in the manual yet? Is this product version available in “Trial” only? I have a “Enterprise” license in version 9.6, can I install it next to it? Fantastic developments! PHPRunner keeps getting better and better and better!! I’m so impressed with the new security features. With password hashing using bcrypt, AES encryption and the ability to use Azure servers (allowing the use of the azure keys/certificates – which actually use AES-256 as standard) means that PHP Runner applications will meet the requirements for processing “sensitive” data in the UK and EU (eg: patient data, classified data). This is impressive as no other RAD can generate the apps to this standard. I’ve been waiting for this day to come… Thank you Sergey and team! oh very cool feature to have cells click functional – means i can do the navigate to view parent record on my wish list!! i.e., when listing activities on a project, i can click the project name and review the project view page!! woohoo! and the password hashing is absolutely on time too. i was having trouble making something 100% HIPAA compliant unless I coded all that myself to do resets etc. Thanks – a very valuable update! Excelente noticia en la adaptación de novedosas herramientas para el diseño e implementación de plataformas cloud. A la espera de que liberen ésta versión. Felicitaciones. hi,this is getting better with each version. it will be any improvement on printing page as far as printing order in columns instead of side to side when 2 or more columns design is used? Very cool! Where do we submit comments and suggestions? Excellent, as allways. Thanks, Sergey !!!!!! I was just going to add a tab or a list page with a horizontal grid so that the user can sort the data. You read my mind. You are a primo developer. Thank you very much for all the good work. Very good, I’m waiting the new update. Fantastic!!! Love the tool tips,crosstab report and field click actions the most. Great job! Once again Sergey you and your team hit the mark! Thanks for never stopping to make a great product even better. The best keeps getting better! Really like those clickable fields. Thanks Sergey and Team. I love it and most of all my clients will love it! I love these new features! When you plan to update the docs and give us a non trial version on this new version? 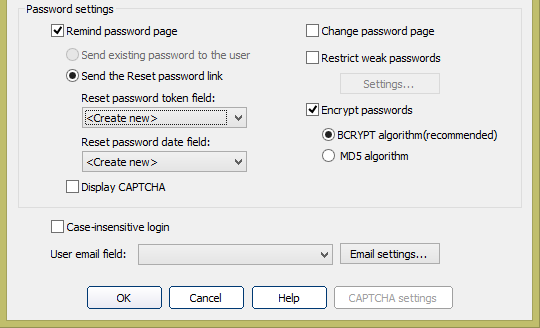 Will the new password hashing work on older version where passwords were encrypted? Very nice. Looking forward especially to trying out the APIs and code snippets in dashboards. You just made dashboards so much more useful for integrating other apps and data. – Can you order by Customer Name alphabetically? I have to say, you and your team just keep making the software better and better, with more and more features… I can almost figure out everything myself, the software is so intuitive. Great job! hope next webservices API will be included. Been using your product for over 10 years and it has been a great experience. Changing over to the newer builds has been a pretty easy step. I am just impressed with the constant level of “understanding” in what the majority of us are looking for it keeps your product relevant. Thank you! Always a delight, about the only product I have that when updates and new features arrive I see real application for, even I have I had not previously thought about. I would greatly appreciate uploading images from the webcam directly.